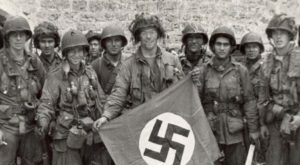 Their story was featured in Stephen Ambrose’s Book “Band of Brothers” and HBO series. We are joined by WWII historian Suzanne Ryan, actor Douglas Spain (who played Pvt. Antonio Garcia in the HBO series) and Chris Langlois, Grandson of Easy Company’s Eugene “Doc” Roe. Help us spread these important messages!